Every plant starts at a seed. So, if you are looking to cultivate your own cannabis plants, you need to make sure you get quality seeds that will generate a solid yield and flavor. Not sure where to begin when picking out cannabis seeds? No worries, I am here to help with that. Let’s take a look at some of the best cannabis seeds on the market today. What’s the Best Time to Plant Marijuana Seeds? What if you’re growing cannabis indoors? What Are the Characteristics of a Rotten Seed? How to Separate the Good Marijuana Seeds from the Bad? How to Tell if a Marijuana Seed Will Germinate? Where to Find Healthy Cannabis Seeds? While a cannabis seed is pivotal to the whole growing marijuana plants process, you may not get the results you desire when buying commercial seeds. For one, it’s not in any grower’s best interests that you get the healthiest seeds that grow you the most robust plants in the world. That’s a loss of business for them. So off the bat, if the manufacturer is not a reputable name, you might want to inspect the seed quality, so you know what to expect when it's sprouting time. 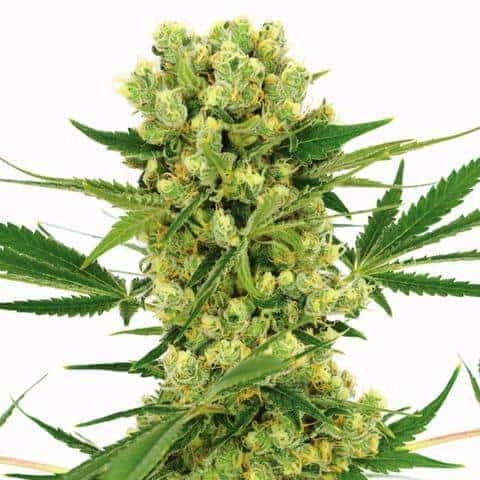 While there are a lot of good seed banks, here at THCoverdose.com we recommend if you buy cannabis seeds online that that you order them through ilovegrowingmarijuana.com. Blueberries taste so much fresher straight off the tree. The same goes for cannabis seeds. To ensure that the seeds are not damaged or picked too soon, pick them yourselves from existing buds. If you don’t have any flower, ask your friends. A lot of people find seeds to be a nuisance and chuck them out when they are breaking up their weed. Tell your buds to save you some bud seed. The only issue with going this route is you are limited with the cannabis strains you can grow. The most popular strain in cannabusinesses across the United States, you can cultivate your own Blue Dream plant in the privacy of your own home. This plant is a hybrid, but a bit heavy on the sativa side. Therefore you get a burst of energy, but not in a jittery over-caffeinated way. Instead, it’s more of a mellow-alertness that allows you to take part in any task hand. Many attest that Blue Dream is the perfect weed to use for those who need to function during daytime hours. Medicinally, this strain has a higher level of THC (21%) as compared to CBD (2%). Therefore, its therapeutic benefits are strongest for nausea, mental health, and other bodily aches and pains. These are feminized seeds so no need to worry about males wrecking your garden! 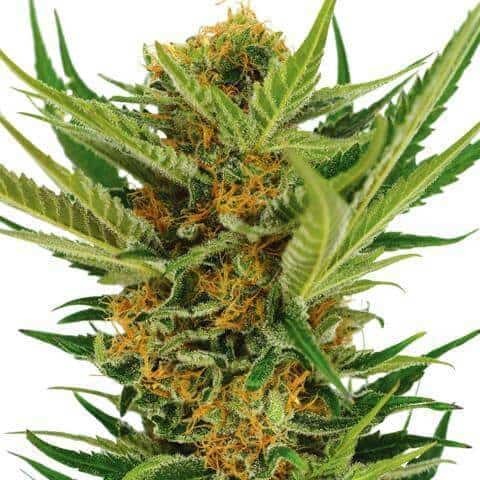 This is one of the most popular strains of cannabis that rose to prominence back in the 1990’s when Amsterdam coffee shops first became all the rage. White Widow is more of a hybrid than the Blue Dream as it has a 60% indica to 40% sativa ratio. While heavier on the indica, the respectable levels of sativa makes for a balanced high. Much like the Blue Dream, you will feel relaxed but still attentive to the environment surrounding you. So while you will feel stress-free, the touch of sativa will still have you active and participating in a conversation. Made popular in coffeehouses all throughout Amsterdam, White Widow’s THC levels far outnumber the CBD levels. With THC content hovering around 19% (and maxing out at 25%), the plant’s CBD levels are around .20%. Many who grow this plant find it easy to maintain. The plants are compact and generate high yields of bud. In about 60 days you can expect plants to reach anywhere from 2.5 to 4 feet in length. What makes Widow one of the best cannabis seeds for indoor growing is that this plant is easy to grow. Further making it an ideal starter plant, it is rather small. So, it won’t outgrow your grow room. Additionally, this plant is rather resilient. White Widow can endure unfavorable climate conditions (but why would you want to do that to your plant?). Because they're autoflowering seeds your seeds will flower whether or not the lighting situation is on point. With that said, you can see sprouting as early as three days, but it may take as long as a week. In general, the whole autoflower process from germination to harvest takes place within the timeframe of 7 to 11 weeks. Smoking your homegrown White Widow will give you a smooth high with an overwhelming feeling of relaxation. Speaking of easy to grow, AK-47 may have the White Widow trumped. To get this plant to reach the flowering phase, it doesn’t even need to be exposed to sunlight. Due to being naturally photosensitive, when marijuana plants are exposed to longer periods of darkness, they speed up the harvest process. That’s how the AK-47 got the term autoflower. Autoflowers evolved to be so self-sufficient as a way to get as much yield before the long summer days end and fall begins. This autonomous process makes these plants acceptable to grow at any time of the year. 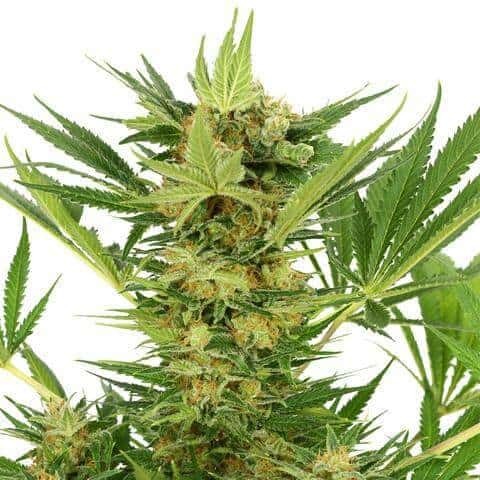 They have a fast turnaround from the moment germination begins to the first harvest so that you can rely on a constant stream of bud with AK-47 cannabis seeds. On the conversation of high yields, let’s turn our attention to Super Skunk. With the name skunk in the title, you can assume that these cannabis seeds bloom into odorous buds. This is a really popular strain, getting its name in thanks to the plant’s terpenes, which give off a skunk-like odor. Super Skunk is a hybrid that is indica-dominant, containing 2.4% CBD and 20% THC. Much like its predecessor in Northern Lights, the Super Skunk is 80% indica dominant. However, that doesn’t mean you will be a lazy couch potato. While this hybrid does give you a case of the couch-lock, it also brings a clear mind that opens the gateway for creativity. This is the perfect strain to grow if you need to explore your artistic side and need a little help focusing on the task at hand. The plants themselves produce a lot of bud. Their branches grow heavy with thick stems of weed. 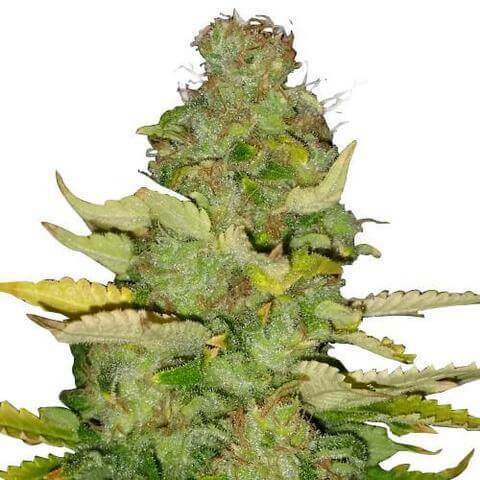 Its easy maintenance makes Super Skunk a great indoor or outdoor plant for beginners. These particular autoflowers are feminized. Female seeds are the ones who generate the smokeable flower. Otherwise, the male plant ends up being unsmokable (but still useful) hemp. Getting seeds that are feminized are ideal because it is less work on the grower. You won't have to worry about removing male plants from the grow room and can keep your focus on monitoring your marijuana buds. Another autoflowering plant on this list, Blueberry is a delicious indica-heavy strain. 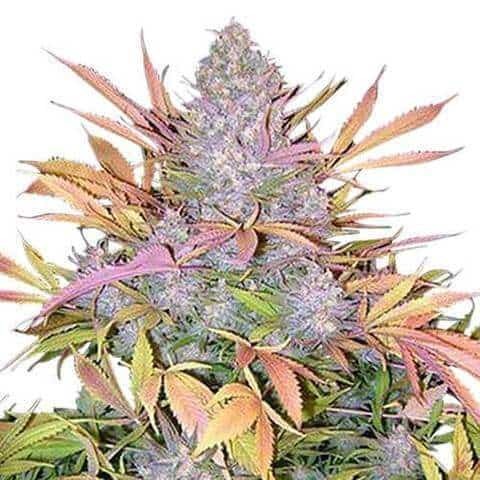 Blueberry cannabis seeds are a welcome addition to any grow room just because it yields some of the most gorgeous cannabis flowers you will ever see. Growing in popularity since the 1970’s, this popular bud was the winner of Best Indica in the 2000 High Times Cannabis Cup. With a high level of CBD at 2% and only 14% THC, Blueberry is an ideal indica experience. When you smoke this bud, you will feel sleepiness as well as relief from headaches, cramps, and mental health conditions. As the name implies, this flower tastes a lot like blueberries. The bud's bluish-green hues further sell this illusion. While an autoflower, this plant does tend to grow better outdoors as compared to inside. Not only do these bluish green buds look the part, but they taste it as well. With a bit of an earthy flavor and a fruity aftertaste, the Blueberry leaves you wanting more. This is a hybrid that was also created out of Afghani Latrice strain. Except, it’s been mated with a Thai purple sativa, making the famous plant we know today. While an indica and can make you sleepy if left up to your own devices, this is a rather social bud. Feelings of elation and cases of the giggles often accompany smoking Blueberry. As far as caring for Blueberry seeds, it’s just as easy all the others on the list, but this plant can grow a bit taller than some of the others. Topping out typically around 32 inches, make sure your grow room has sufficient headroom as the plant continues to blossom. 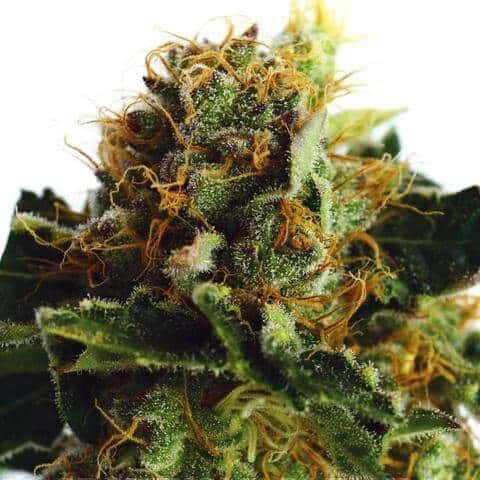 Now for an opposing experience to the Blueberry, try a sativa-heavy cannabis seed such as Amnesia Haze. Much like Blueberry, Amnesia Haze won the Cannabis Cup in 2004. They also nabbed the top spot in the 2012 Sativa Cup as well. Amnesia Haze Autoflower is photosensitive. However, it does require a little more care than some of the other autoflowers. Therefore, these are great seeds for growers who have been doing it for a while. The high you can expect from Amnesia Haze is an uplifting and energetic one. Be prepared to tap into your creative side as well as a new desire to socialize. This plant is easy to grow...if you have the right climate. 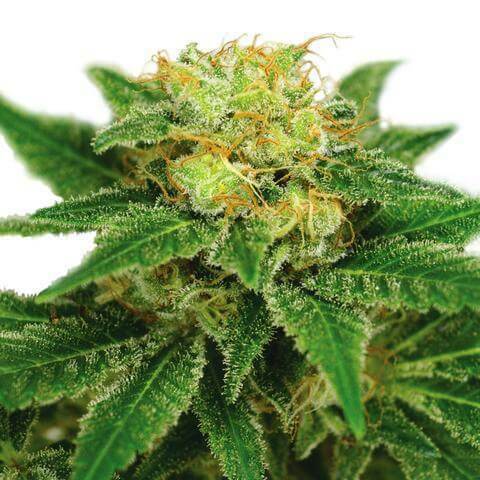 As the name implies, the Maui Wowie plant originated in the Hawaiian Islands. True to its roots, the plant provides the best yield if the seeds are planted in an environment that resembles their homeland. Much like the vibe exhibited in Island Life, the Maui Wowie will give you a chill high. With a 20% indica, 80% sativa gene pool, you can expect to be a bit more carefree and open to socialization when you experience Maui Wowie. Staying true to the Hawaiian influence, the flavor of Maui Wowie resembles that of exotic fruit, with many saying the stain has a hint of pineapple in its nodes. 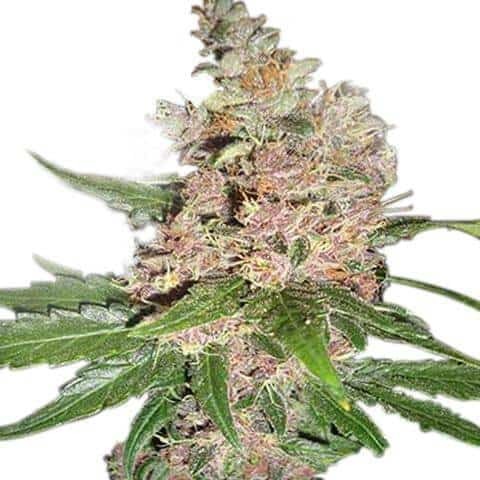 Another easy-to-grow cannabis seed, Northern Lights is a very popular indica hybrid strain. First propagated in Seattle, Washington, 11 plants with the genetics of Afghani Landrace strain and a Thai sativa strain sprouted up in the late 1970’s or early 1980’s. By 1985, the operation moved to Holland and flourished, distributing these cannabis seeds through Sensei Seed, before switching presently to the Seed Bank. 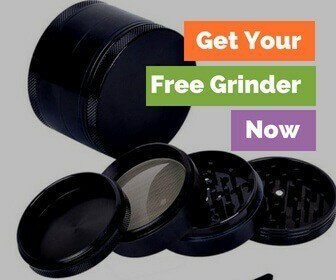 Since that fateful day, these cannabis seeds have become the prototype, leading the way for the development of popular strains such as Shiva Skunk and Silver Haze. Much like its namesake, Northern Lights is quite the beautiful bud. Northern Lights Autoflower has a very sweet smell. It’s spicy, yet sweet aroma lends for a smooth, relaxing smoking experience. What’s even more beautiful is how easy it is to grow. Although if planted outside they can grow pretty large, these plants stay small in size. Don't let the size full you as they have lots of plants to harvest that's dripping with high-inducing resin. Typically, this plant survives best in sunny climates. However, Northern Lights is pretty self-sufficient, and it will still grow without the warmest of conditions. As far as the flowering phase, it will happen between 7 to 9 weeks. Results will be a sweet, yet spicy tasting bud that will have you feeling relaxed. Seeing as it’s about 80% indica dominant, this cannabis will have you in for the night, feeling euphoric. While you won’t feel stressed, you don’t have to worry about being glued to the couch. Northern Lights lets your inhibitions down and makes you want to get up and out of the house. It creates an intense body high without the heaviness. What has led to this plant’s longevity is its resilience, minimal need for upkeep, and fairly high yields. Unless you’ve been living under a rock, you have probably heard of Purple Haze. This popular strain lives in infamy much in thanks to the Jimi Hendrix song of the same name. However, its strong euphoric effects has caused Purple Haze to live on. With a high concentration of THC (20%), this sativa-dominant plant will have you ready to take on the world. Just as the high will have you feeling easy like Sunday morning, these seeds are easy to cultivate. In fact, it’s one of the most recommended strains for beginner growers. With a high yield, this cannabis plants starts to flower at around ten weeks. In need of a resilient cannabis plant? 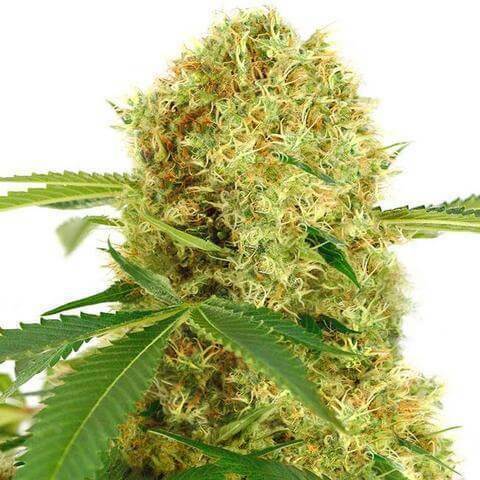 Then check out Jack Herer cannabis seeds. This strain is resistant to disease. Like its namesake, marijuana activist Jack Herer, this plant is a sativa-heavy strain, with an 80% to 20% ratio compared to indica. Therefore, you can expect an uplifting high from this flower. If you want the most bang for your buck, be sure to keep the plants in warm and dry weather. However, they will survive indoors and outdoors with minimum sunlight as well. When Jack Herer is cultivated in ideal conditions, the plants grow pretty tall. The final product yields medium-level CBD concentration, maxing out at .02%. However, THC content is very high. You can expect upwards of 20% THC potency from these cannabis seeds. On the subject of eye-catching strains, I would be remiss not to mention the Strawberry Cough. This buds’ trichomes are robust with vibrant red-hued crystals. Having a fruity flavor profile that reminds you of...strawberries...this is a very fun cannabis seed to grow indoors. Unlike many on this list, the Strawberry Cough is a sativa dominant hybrid. With an 80% to 20% ratio compared to indica, this flower will get you feeling high as a kite as it boasts an 18% THC potency. While I've covered why the name gets the strawberry moniker (besides the rumor that it was first cultivated in a strawberry field), I should address the whole "cough" part. Many insist that this breed is guaranteed to cause a coughing fit. Strawberry Cough Autoflower is very easy to grow indoors. It doesn’t grow very tall, nor does it need a lot of maintenance. Seeing as its an autoflower, as soon as you pot it, the growing process will begin. You can expect the plant to start flowering around nine to ten weeks. These days it makes no sense to buy regular seeds when you can buy feminized seeds or autoflowering seeds. Growing cannabis indoors is a real intimate experience. As you care for your plants, you learn things like how much light and water they need and which types of nutrients will cause them to flourish. All of these characteristics begin with the cannabis seed. Without a seed, you wouldn't have a marijuana plant, to begin with, let alone strains with unique highs and nuanced flavors. Overwhelmingly, there are many cannabis seeds for indoor strains. Let's look at cannabis seeds for indoor growing and we show you where to pick up some of these seeds for your garden! When growing indoors, you want cannabis strains that that are shorter and bushier to help maximize the limited amount of save available to you. Growing cannabis at home is always a rewarding experience. The taste, aroma and the quality are way better than anything sourced from a dispensary. But, it holds true only if it’s done right. Now that it’s legal to use cannabis in many locations, you can grow it outdoors. Sure, it will take a little more time than growing indoors, but the yields will also be larger. However, growing outdoors can be frustrating if you don’t time it well. This means that timing is crucial right from the germination stage. By the end of this article, you’ll know everything there is to know about planting cannabis seeds. What if you are growing cannabis indoors? If you have a grow room and want to grow the herb indoors, then the timing doesn’t matter. Cannabis plants depend on light to grow and flower. Indoors growers supply artificial light, and the plant performs accordingly. When outdoors, you can't control the lighting, and the plant will grow according to nature. Don’t let this change your mind, though. It’s a gift if you can grow outdoors. That’s not only because of the yields but because you simply can’t beat sunlight! The plants will grow naturally, and you'll realize that they aren't as fussy as plants grown indoors. You will also save loads of money! You won’t have to invest in lights, grow tents, or worry about electricity bills. What you’ll have to be careful about, however, is time. So, now that we got that out of the way, let's focus on one question – what's the best time to plant marijuana seeds outdoors? Why does the climate matter, you ask? It’s because the seasons differ in different locations. To understand why the climate matters, you need to understand how the plant grows. Cannabis is a hardy plant, but it cannot grow in extreme conditions. The seeds won't even germinate if the climate isn’t right. Generally, cannabis seeds germinate well in temperatures ranging from 22° and 28° Celsius. If the climate is too hot, you can put the seeds in a damp paper towel in an air-conditioned room. You can control the temperature when it’s just a seed. However, since you're growing outside, you need to plan. Cannabis, like other plants, grows well only when the season is right. Temperatures ranging from 22° to 30° Celsius are perfect for the plants. You can even stretch it up to 32° Celsius, but the plants can stop growing. Or they may encounter too many problems. Then how do they grow cannabis in scorching hot temperatures, you obviously question. Cannabis grows in almost any climate, but the strain must suit the weather. The plants are grown even in countries like Africa and India where it sometimes gets very hot. But that’s only because the strains are meant for such a climate. Therefore, the strain also plays an important role. Also, make sure that you choose a strain that’s meant to grow outdoors. Such strains are bred in such a way that they finish faster. When indoors, you can manipulate the time, but you’re at the mercy of Mother Nature when outside. You also have to choose strains that are more resistant to mold and other diseases. You can spoon feed plants that are grown indoors. But that’s not possible outdoors. Yes, plants usually become hardy when they are grown outdoors. And that’s because natural sunlight itself is the best food for the plant. However, it’s best to be cautious. The growing season differs from one location to another. You have to do some research and understand the growing season. It’s the season when most plants grow. But, you have to be careful. If you plant too early, the plants will have a hard time in the cold weather. If you plant too late, the plants won’t be able to finish their growing cycle. So, determining the season is a critical factor. Cannabis plants are annual plants. They can be planted in the spring, but they begin flowering from late summer. And it continues up to the fall. Growers plant seeds in the spring and the plants grow sturdy and strong in a few months. With every passing day, they become a little bigger. They continue until the nights become longer. And the flowering phase begins. The buds are harvested in autumn when they are ripe. For instance, if you’re around the northern hemisphere, plant the seeds early in March. If you miss that, wait until May and harvest the flowers anytime from September to November. For people in the southern hemisphere, planting seeds starts from September up to November. And it’s harvested from March up to May. Those that reside in tropical countries are lucky because they can grow throughout the year. Basically, the plant flowers when the days are shorter and the nights are longer. In some locations, the plants get 14 hours of sunlight. In others, they can get only 12 hours or even 16 hours. Also, refer to sites that give you exact information including the latitude. If all this confuses you, consider how other plants grow. Talk to local farmers to get some information about seasonal changes. To give you some perspective, treat your cannabis plants like a tomato plant. Cannabis is not completely similar to tomato plants, but they are close. Usually, planting marijuana plants in early May will do you good. Refer to the Farmer’s Almanac or any site that offers information about your growing zone. Okay, so cannabis loves spring. It is okay to plant the seeds in spring, but you’ll lose precious time. Time the plant can use to grow bigger and stronger thereby giving you more yields. What if you plant the seeds earlier so that the seedlings can be planted in the spring? For example, the seeds need some time to germinate and grow. This process can take anywhere from 1-2 weeks. Once they are a little bigger, they can be planted right away. So, save time by planting at least two weeks before spring. Plant the seeds in seed cells and keep them warm. If it’s too hot where you live, keep the seeds in a cooler area. Once they germinate, transfer them into small containers. Place the containers on a window sill with indirect sunlight. The first week will be a tad boring with very little growth. But by the second week, the plant should start growing faster. Within 1-2 weeks, the seedling will get adjusted to the wind. It will also appreciate sunlight that’s not too harsh. Just make sure that the seedlings don't grow very tall and lanky, though. If it does, pour some soil around it to prevent it from falling. Some growers sow the seeds 6-8 weeks before spring. The seedlings grow indoors under artificial lighting until they are big enough to be put outside. However, don’t sow seeds so early if you don’t have an indoor grow room. Choose a good location to plant the seedlings. Any spot that receives at least 6-8 hours of sunlight initially is recommended. As the plant grows bigger, it will need more than 12-14 hours of sunlight every day. 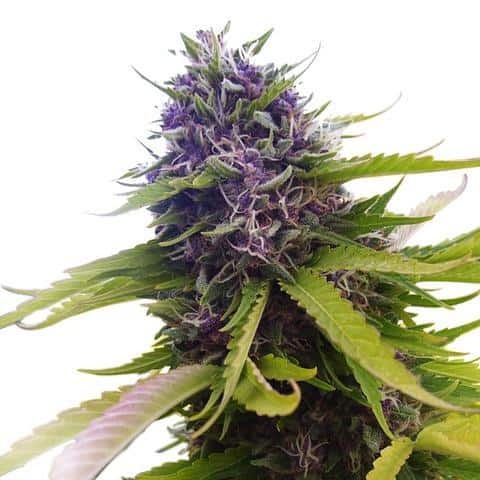 Many people are fascinated by auto-flowering strains. And that’s because these strains complete their cycle in just 90 days. They flower regardless of the light they get. Photoperiod strains, on the other hand, are a bit slower and depend on the sunlight. They flower only when they get 12 hours of darkness. Sure, autoflowers are tempting, but remember that they are difficult. Especially if you’re a beginner. Seasons can change dramatically with no notice. Imagine that you’ve waited until spring and germinated the seeds. You plant them, and the weather is looking good. But, what if the weather decides to change its mind and it rains instead? Photoperiod strains can recover quickly, and you won't lose a lot of time. However, autoflowers stop growing if their growth is interrupted. And you’ll end up with plants that are so small that they resemble your tiny succulents! So, don’t depend on luck. Better be safe than sorry and choose photoperiod strains. Of course, it doesn't matter whether it's photoperiod or autoflower just to germinate the seeds. But, it does matter when the seeds sprout and enter our bad, mad world. If they check all of those boxes, you can feel confident in planting them. If you bought seeds online, first inspect the package for moisture. Moisture often involves mold and will be a tell-tale sign that the seeds have gone rotten on route to you. The same goes for the seeds found in a nug. Always store in a cool, dry place to avoid damaging the seeds before germination. If you notice moisture in the container, you may have lost your stash. Even the most reputable seed companies may ship a bad seed now and then, so it pays to know what you're looking for. Thankfully, good seeds are easy to spot, so keep reading to master how to tell if a marijuana seed is good. If you notice your seeds don’t look exactly like the healthy seeds described above, what makes a rotten seed? You may notice the color is much lighter than the others in the pack, white, light yellow, or bright green. These seeds have either gone off or are immature. Seeds with soft or cracked shells have had their tender insides exposed to microbes and may be rotten from the inside out. The similarity between one seed and the rest is also a good indication. If you notice one seed out of ten looks drastically different, it’s safe to say it may struggle to germinate. On a clean white surface, lay out all the marijuana seeds in your collection. Inspect each seed, based on the characteristics outlined above. Any clearly rotten seeds, or those that stand out from the pack, can be tossed. Place the healthy seeds aside, and any questionable seeds in a pile of their own. Clearly label the seeds by strain, source, and date, as well as what pile they are from. Again, no need to keep the clearly rotten, shriveled or unhealthy looking seeds, as these may infect your good ones. When you are ready to germinate, you can double check both the healthy seeds and the questionable ones through a simple test known as the water test. In a glass or jar of water, dump in both the healthy and the potentially good seeds for a soaking. Soon, the seeds will absorb water and gentle sink to the bottom. These seeds are likely good to go. Any floaters, feel free to toss. The only tried and true method of testing for germination is to attempt to germinate the seeds. The good news is that for cannabis, the germination process is simple. Adding more seeds, even questionable ones, doesn’t make the process any more arduous. Using a damp paper towel, laid on top of a plate, place the previously soaked seeds inside. Keep in a warm dark place, and continue to add a few drops of water over the paper towel each day to keep it damp. Plant the good seeds in a growing medium of your choice, and continue the sprouting process. If some seeds refuse to sprout within a week, there may be some problems. Save yourself the trouble and toss the remaining unsprouted seeds. Although you may find a seed or two in poorly processed nug of cannabis, the best place to source seeds is from a seed bank, either in person if you live in a legal region, or online. Seed banks, especially reputable ones, will have vast collections of strains and build their brand off consistency and germination. If you’ve never purchased seeds online, you’ll want to research the company and the process carefully. 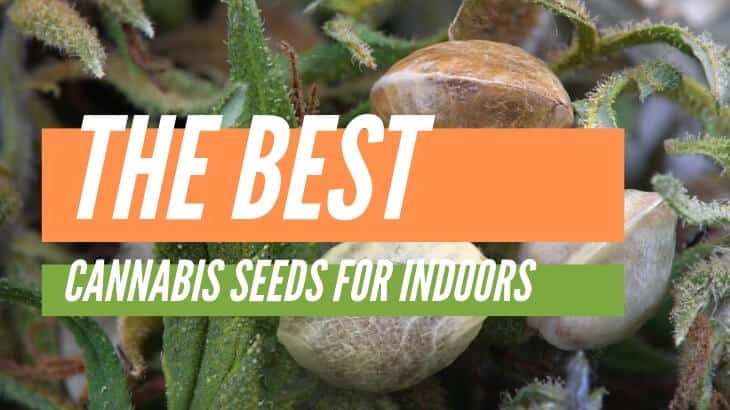 So, what are the qualities of good cannabis seeds for indoor growing? We recommend you stay with an Autoflower seed over regular seeds to take some of the guess work of when to harvest. Go with an indica strain that is low to the ground. & go with a name that is a classic such as White Widow or Northern Lights because how to grow them is well documented. To get the best cannabis seeds, you need to go through the best seed provider! If you go through ilovegrowingmarijuana.com you are guaranteed to end up a happy grower. There are a ton of other great banks, so shop around if you want. Just be extra sure that you vet the company as much as possible. It will probably be best to start off with a small order to test how well they come in the mail, how healthy the seeds are and if the strain is what you expected. Who do you like to buy cannabis seeds online from? What are the strains that you've tried growing indoors?